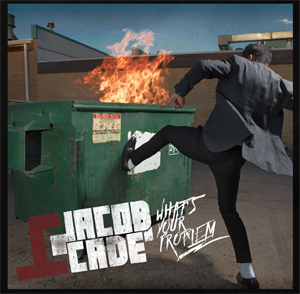 There is a new name about to burst on the rock scene, that mixes the styles of LED ZEPPELIN and GUNS N’ ROSES - and that name is Jacob Cade. “Energetic rock n’ roll with a modern twist” is how this singer/guitarist/band leader from Colorado likes to describe his music. And from late November through early December, rock fans in the northeast will be able to get a glimpse of this talented performer, as he will be opening shows for BOBAFLEX. Cade is working closely with legendary producer Michael Wagener (whose credits include working with the likes of METALLICA, DOKKEN, KING'S X, etc.). Plans include issuing a string of singles, before offering up an EP that will be entitled Hunger, with songwriting collaborations between Cade and such respected rock names as Paul Taylor from WINGER, Lzzy Hale and Joe Hottinger from HALESTORM, and Rachel Bolan from SKID ROW. The video for “What’s Your Problem?!”. can be viewed below. Lastly, there is a simple reason why Cade feels his music stand out from the rest of the pack. “I believe it is different with what is coming out lately, and that's what makes it special and appealing.” With the arrival of the single and live dates, rock fans will soon get to experience first-hand what is so appealing about this fast-rising star.